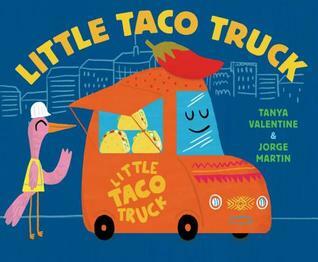 Description on GoodReads: Little Taco Truck serves up tasty treats to the hungry workers on Union Street . . . until one day, Miss Falafel shows up with her baked pita bread and crunchy chickpea fritters--and parks in his space. The next day, Miss Falafel is there again, and this time she's brought Gumbo Jumbo and Annie Arepas with her. Little Taco Truck's headlights dim. What if people like Gumbo Jumbo's spicy stew and Annie Arepas's warm cornbread cakes more than they like his tacos? When more trucks arrive the following day and there's no space left for Little Taco Truck, he swishes his wipers to hide his tears and heads home. At last, with some ingenuity and help from new friends, Little Taco Truck wins back his coveted parking spot. And guess what? There is room enough for everyone! Some books can be somewhat deceptive. A catchy title and a cute cover may be passed over for a book with that hints at something deeper. And yet, Little Taco Truck, seems like just the right message for our world today. There is something fun about a book featuring a taco truck, and the foodie in me loved the additional of other food trucks with their diverse food options representing cultural groups from all over. As other trucks arrive, Little Taco Truck begins to wonder if people will prefer falafels or gumbo more than tacos. The arrival of the other trucks also physically begin to push out the little truck. Of course, the book doesn’t end there. Little Taco Truck is determined to regain his spot on the street and with the help of the other trucks, it turns out that there is enough room for everyone to be included. Food is a great starting place to talk about culture and inclusiveness with young children. The lesson learned by Little Taco Truck is more than just an act of kindness by the other trucks. The message is very much one of belonging and that everyone belongs. Look for Little Taco Truck at your local indie bookstore or public library. What is it we love about dogs so much? From ancient times to the present, dogs have guarded us, worked with us, marched off to war with us, and of course, just sat on the couch with us for a cuddle. Throughout the course of human history, this partnership deepened from dogs doing a service into friendship. Dogs have been by our side through it all, and this book tracks our common story from wild wolves in ancient civilizations to modern-day breeds, highlighting famous pooches of the past and present along the way. First, let me say that I am a cat person. I have two adorable tabbies who are high need and super affectionate. If I had the space, I probably adopt a few more cats or at least foster kittens. I will also admit that some dogs scare me. When I was in college, I babysat for a family and found myself standing on a chair in the middle of the kitchen, yelling for one of the kids to come and rescue me from their yapping poodle. Another not so great encounter with a dog happened during my morning walks in my neighborhood. After several bad runs ins with a neighbor's dog, I had to find a new route. The dog in question would jump the fence and growl and block me from getting away. During one particular morning walk, I found myself frozen in the middle of the road, wishing I had a chair to climb up on, and thankful when another neighbor happened by and had dog treats in his pockets. Yes, it seems I find myself often in need of rescuing from dogs. Now there are a few dogs that I have met that I actually like and enjoy visiting with but I don't usually wish that I could take them home with me. However, from a distance, I can enjoy the idea of owning a dog. And I can enjoy a book about dogs. In Dog Days of History, Sarah Albee takes readers on a trip through the history of dogs from wolf to dog, from wild to domestic and through the ages. With her witty chapter headings, engaging writing, Albee makes the history of dogs anything but boring. 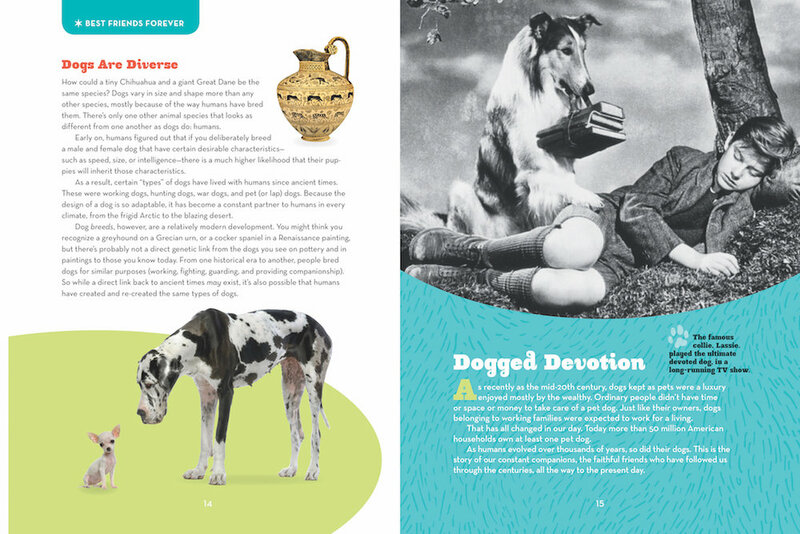 Throughout the book, readers are introduced to special facts called "paws to consider" along with other special highlights. Readers who like to browse and explore will enjoy being able to read through the book in their own way. Some readers will enjoy reading from the start to the end, but others may want to start with a chapter that has a special appeal. I particularly loved contrasting how dogs were treated during the Middle Ages with the present. At the end of the book, Albee includes a bibliography (biblidography), references (rufferences), sources and websites, and index. Look for Dog Days of History at your local indie bookstore or community library. Hildie Bitterpickles is a witch who needs her sleep. Her quiet neighborhood has been turned upside down with the sudden arrival of the old woman in her shoe, big bad wolf, and other fairy tale characters. What will Hildie have to do to get a quiet night’s sleep? Mrs. Sandoval's Third Graders at McKinley TK-8 School for the Arts in Pasadena helped me with this review. Maya indicated: "For me personally, I liked everything! But I did like the part where she stands up and says NO! Loud! She meets lots of friends and learns lessons in life! Mitvodev: "My favorite part was that the mice were repair mice and blind." Rashied: "My favorite part was when the witch was with the sheep and all the sheep got in the bed." Santiago shared his favorite part: "The giant's hairy feet." Paul indicated: "My favorite part was when I saw the giant's feet." Many students indicated that their favorite part was the ending when Hildie finally got some sleep. So, if you are curious about Hildie and her challenge in getting a quiet night's sleep, pick up a copy of Hildie Bitterpickles Needs Her Sleep at your local indie bookstore. This has been a good year for picture books. There are so many that I have loved and I don't envy the challenge facing the 2016 Caldecott committee. In addition to the ones coming from illustrators living in the United States, there are also so many amazing picture books coming from Canada or other countries. 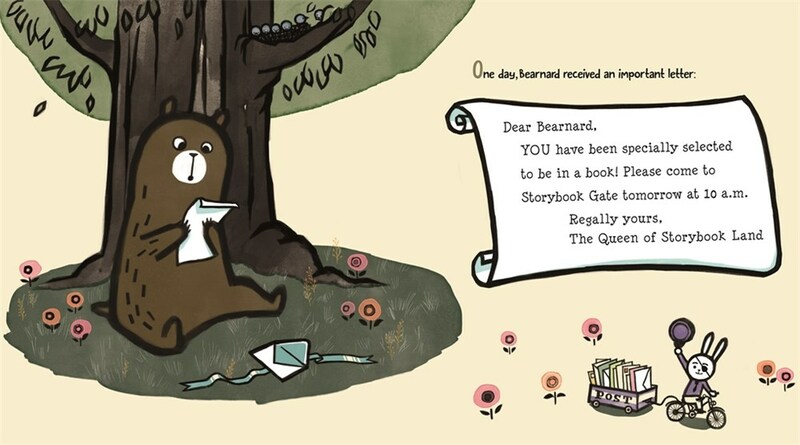 However, I am excited that Pamela Zagarenski is from Connecticut, and with two Caldecott Honors to her credit, there is no doubt that she is eligible for a Caldecott. So, I am putting it out there. 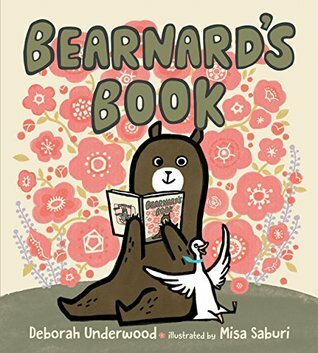 I want this one to win a Caldecott on Monday, January 11, 2016. 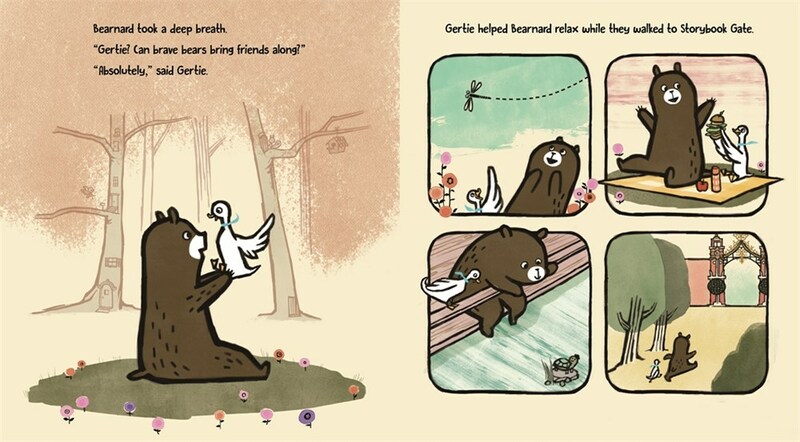 The Whisper is magical and has lovely illustrations. Yes, the illustrations are very much Zagarenski's signature style. However, what she does with her illustrations is charming and produces a beautiful result. In addition to the gorgeous illustrations, I was delighted with the story of a young girl who discovers how to use her imagination to weave stories. Though at first, the girl finds the idea of creating stories to be a challenge, her imagination and storytelling grows with each page. In the background of the story is a fox who collected the words that had escaped from the book as the girl ran home. More of his story comes at the end. I was excited to find this book during a recent trip to New York City. I loved it enough to carry it back to California with me. Look for a copy of The Whisper at your local Indie Bookstore or Public library. Today, I am thankful for picture books. For the amazing authors and illustrators who create beautiful books for us to enjoy like the one above. I am also thankful for how picture books have developed over the years and the technology that allow books to be produced in the way that showcases creative, imaginative works of art that also tell a story.